With most modern games, updates and patches have become a normal part of post-launch maintenance, especially in games where multiplayer is an integral part of the experience. 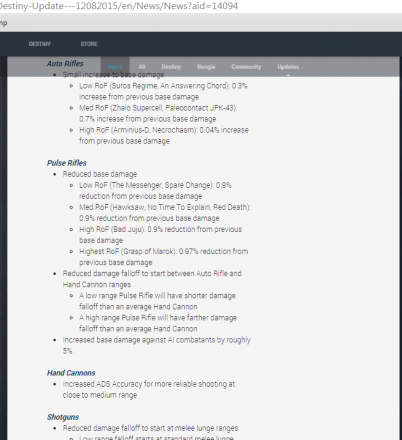 In short, auto rifles were stated to receive an increase in base damage, up to 7%, while pulse rifles were stated to receive a reduction in base damage, up to 9%. In short, the patch notes stated that auto rifles received a damage buff of up to 0.7% while pulse rifles received a reduction in damage of up to 0.97%. 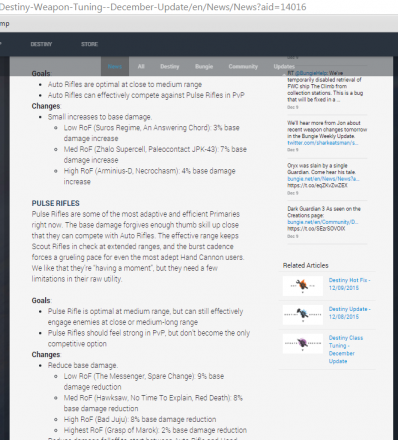 Naturally, this caused some confusion, as several user reports (particularly on the Destiny subreddit) stated that certain pulse rifles (particularly the Lyudmila D) actually had a reduction in damage of roughly 20%. This means that before the patch, the Lyudmila D was doing 31 critical damage; after the patch the Lyudmila D does 25 critical damage. 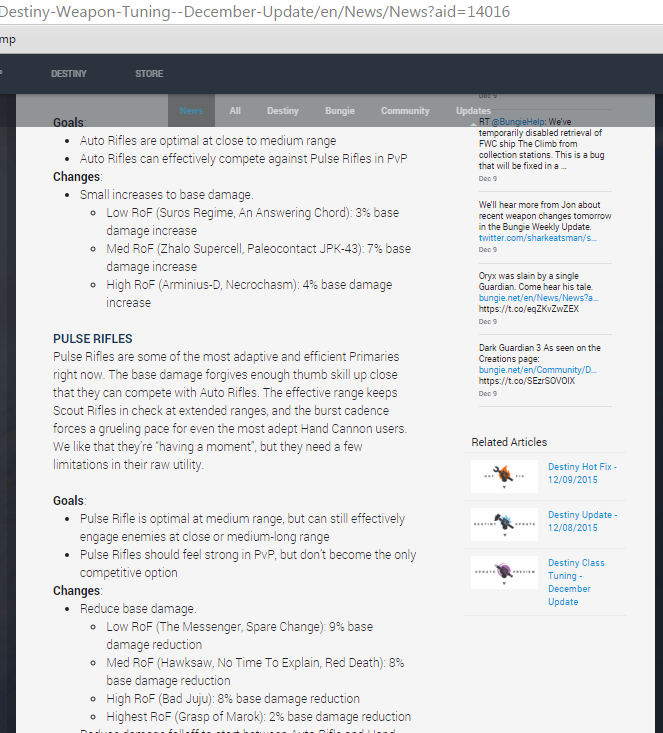 Similarly, high impact pulse rifles went from doing 38 critical damage to 33 critical damage; a damage reduction of roughly 15%. Such a discrepancy in numbers provided by Bungie and Destiny’s audience is odd. On one hand, accidents and mistakes happen all the time, especially with a game like Destiny. After all, we are only human, and such a mistake is at least understandable. Perhaps Bungie forgot to inform their audience that their plans changed, and certain weapons will not be receiving their previously stated nerfs and buffs. Or perhaps there is a bug in Destiny that no one noticed that changes certain values drastically. Even the subsequent hotfix (which took a day to implement) that fixed an exploit regarding microtransactions is understandable, as it protects their business. Assuming that such a statement was true, this brings up a question of why would anyone at Bungie bother with making minuscule changes that amount to a 0.7% increase in damage? After all, no weapon in Destiny deals enough damage in any scenario for a 0.7% increase to make a meaningful difference. A weapon would have to deal 1000 damage (pre-patch) to receive an extra 7 points of damage (post-patch). 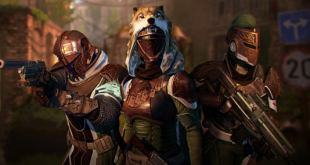 Considering that the average health of a player in Destiny’s PvP is 200, that target would be long dead before the extra damage comes into play. This either points to a huge misunderstanding at best, or an attempt to hide incompetence at worst. 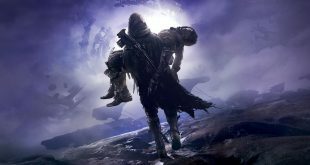 If it is a case of the former, it is entirely possible that Bungie can simply state that there is a secret damage formula in Destiny that we are unaware of. 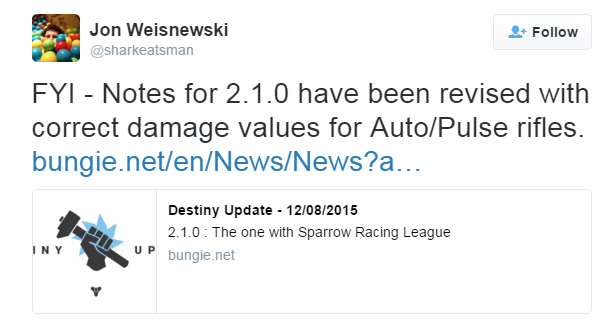 However, this still doesn’t explain why auto rifles have received no noticeable change, and it defeats the purpose of patch notes if the audience has to decipher what is happening. 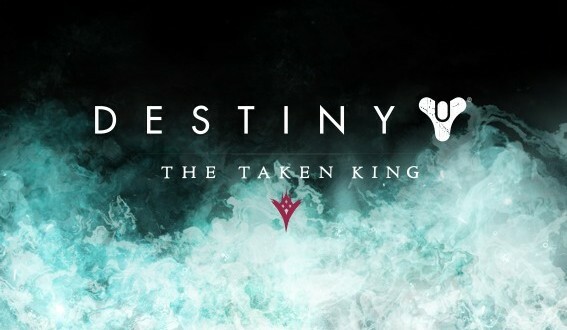 If it is a case of the latter, then this brings up concerns as to what kind of support Destiny 1 has left, and what kind of state Destiny 2 might be in. 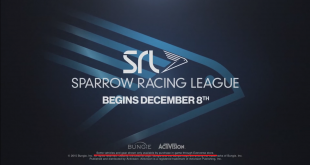 Previous Bungie unveils the Sparrow Racing League for Destiny: Does anybody care anymore?